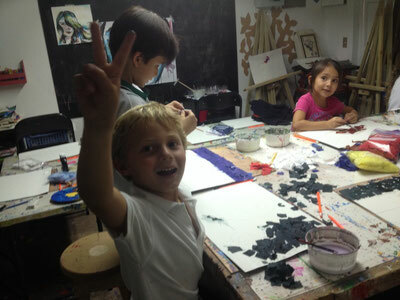 During art class the kids are able to express themselves freely using the media they prefer. Guidance is given though the painting is done completely by them. Every two weeks a different technique or artist is studied, showing works of art, commenting on the artists life and accomplishments and then making a project based on what was studied. *Classes are given in Escazu, San José. For more information please go to the comments section. All classes are currently full!